Demo ranked 3rd at the IGDRP 2004. A filmic demo based on "scene poetry", enhanced with great musics from New-G. While the final result may look kind of cheesy, there is a lot of content into this one. Me and my girl suffered on this one, during more than 6 months. It was an awesome experience skill-wise and personal. Hope you'll enjoy the efforts. 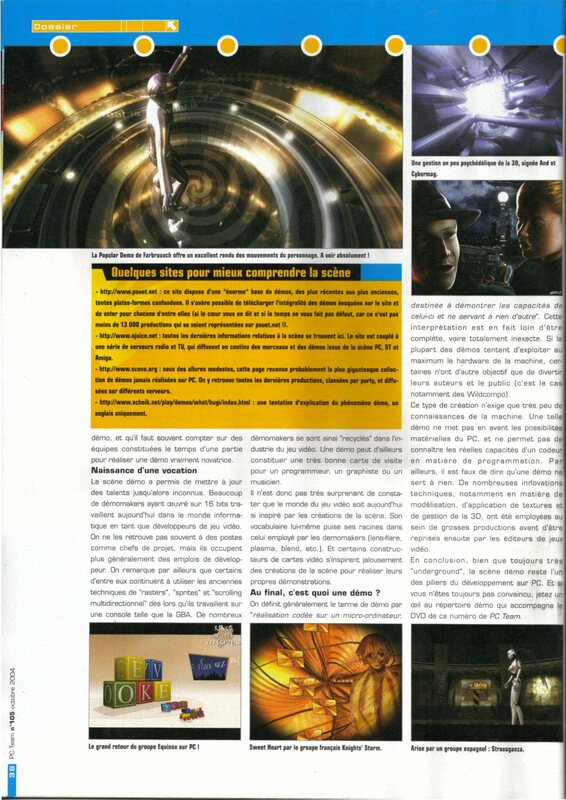 Note: it was shown on famous french magazine PC-Team n°105.